Our two USB2AX dynamixel servo interfaces arrived in the mail today. 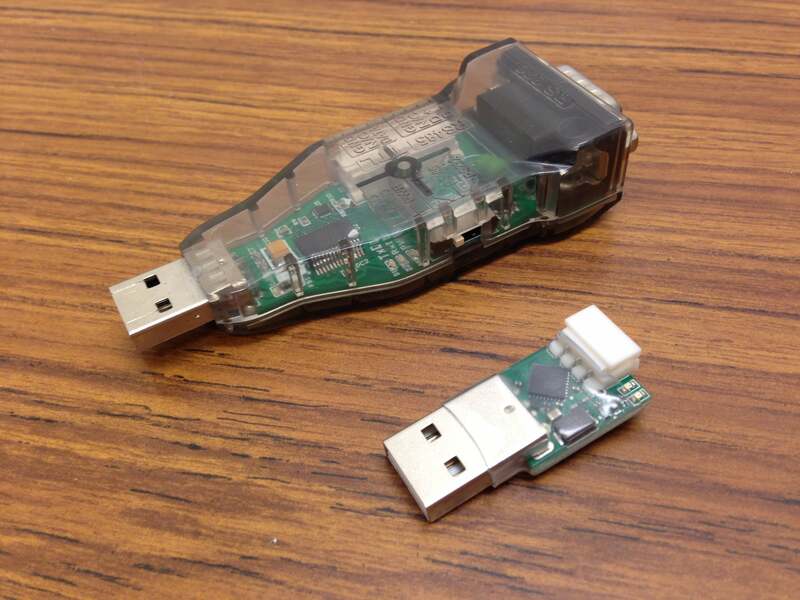 We purchased these as they’re a far smaller alternative to the USB2Dynamixel (see image below) or the OpenCM board. We also don’t have to mess around with another layer of code (as we would on the OpenCM) – communication is direct. After reading the documentation for this device and the helpful guide from Oarkit, I devised the steps we’ll need to take to get the USB2AX functional once Matthew has finished with the NUC. For Linux, no driver is needed. Just plug the USB2AX into the NUC. Status LED should flash red then stay green. Find a power source for the servos (the USB2AX doesn’t provide power). This can be done the same as on the old robot, with the SMPS2Dynamixel, unless we’re making our own power adapter. Connect everything up according to the diagram below. From here on in, everything should be the same as the old USB2Dynamixel.